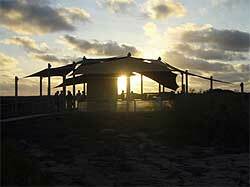 Marine turtles are highly sensitive to light and movement when on the beach. When they are disturbed during the nesting process by people seeking a turtle viewing opportunity, they abort their nesting attempt and return to the water. Repeated disturbance may result in turtles releasing their eggs at sea, and cause turtles to expend an enormous amount of energy in futile nesting attempts. Such disturbance could have a negative impact on the reproductive success of the threatened marine turtle species that nest on the NW Cape. 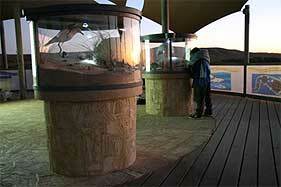 The number of visitors seeking a turtle viewing experience on the NW Cape is increasing significantly. Studies conducted on the beaches of the NW Cape since 1995 have demonstrated a significant incidence of turtle disturbance during the nesting process by self-guided visitors as they search for nesting turtles. Turtle interaction licensing was introduced in 2002 to help protect marine turtles. 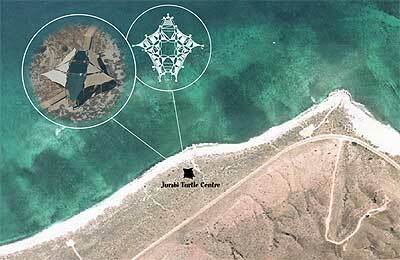 If you would like to view nesting marine turtles it is recommended that you visit the JTC. By participating in a turtle viewing educational session, you are actively helping to conserve marine turtles and will have a better opportunity to view marine turtles nesting in the natural environment. 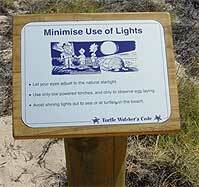 Please ensure you read the Turtle Watchers’ Code of Conduct prior to heading to the beaches. For a complete version of the Turtle Watchers’ Code of Conduct please contact the Exmouth office of the Department of Biodiversity, Conservation and Attractions. Non-invasive turtle viewing requires a detailed understanding of the nesting process and appropriate interaction behaviour. Untrained and self-guided viewing often disturbs the nesting process, impacting the female turtle’s valuable energy reserves and potentially, her reproductive success. 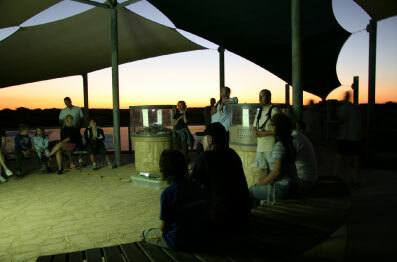 Research shows that turtle viewing experiences are more probable and rewarding for those who participate in a turtle viewing educational session. 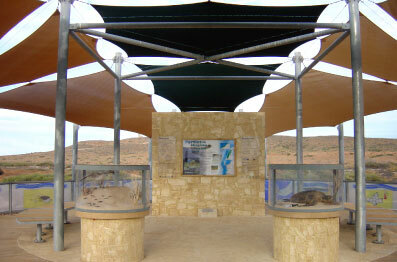 For more information on the Jurabi Turtle Centre please contact DPaW Exmouth District Office or the DPaW Milyering Visitor Centre through the General Contacts Page.